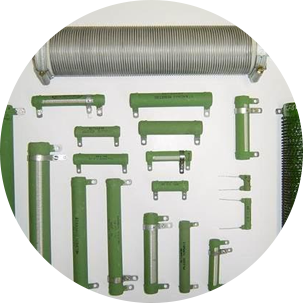 Technical Ceramic Australia has been providing and developing a wide range of wire wound resistors to suit your needs such as fixed resistors, adjustable resistors and variable resistors including rheostats for 25 years. V TYPE : A wire wound resistor that is Vitreous enamel coating provides the ultimate protection for resistance elements. A high density borosilicate glass is fused on at elevated temperature to provide an intimate bond between the winding and a special steatite former. The very high thermal mass and heat transfer rates provided by this coating, absorb heat due to severe transient overloads. Continuous operation at 350°C is possible if designers wish to use smaller resistors for a given load. This provides an alternate set of ratings to the normal commercial 250°C rating as listed. We can provide these in a range of sizes from 20 watts upwards and feature an exposed track of winding which is contacted by a clip carrying a silver contact. The clip is positioned readily at any position along the former. Our resistors are manufactured in to avoid the effects of bending strains as the resistance element to the terminal band is silver soldered at a point remote from the terminal projection. This is the only proven reliable technique. Our resistors are printed with permanent markings depicting physical size, wattage at 250°C rating, type of terminal, resistance value and tolerance. 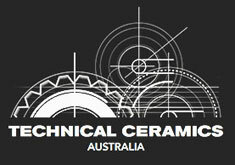 Technical Ceramics Australia has owned and operated Standard Resistor Company for the last 25 years. During this time, we have supplied and designed resistors for most of the major lift and elevator companies. We have played a role in designing resistors to replace expensive and non-standard spare parts for various local rail authorities. The Standard Resistor brand name will continue to offer quality and a wide range of wire and tape wound devices of proven reliability. Rest assured that we can supply just about any need, from hobby Slot Car resistors, to replacement parts for Scientific Instruments or even Complex designs for Dynamic Braking applications. If you're looking for any of our other excellent products then please continue to browse our products page or call us on - (02) 9106 2132.